It’s back to school for students across the Philippines. School year 2015-16 is now underway in every public school in the country, with private institutions starting theirs the week after. For big-name tertiary schools such as UP, Ateneo, La Salle and UST, opening of classes would come a few months later, as part of their alignment with the academic calendars of other countries. Back in school year 1995-96, a surge in educational TV programs took place. The said school year saw the establishment of two different series of educational programs: ABS-CBN’s ETV (Educational Television), and PTV-4’s CONSTEL (Continuing Education via Television). 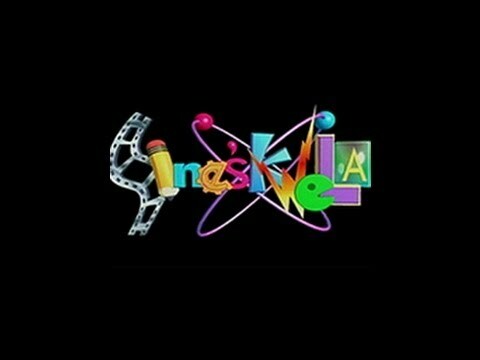 SineSkwela – the flagship program of the ETV series which tackles a variety of topics related to elementary science, health and technology. Hiraya Manawari – focuses on fantasy stories with lessons on good values and morals. Bayani – discusses historic Filipino heroes through a dramatic retelling of their struggles and triumphs. Math-Tinik – features lessons related to elementary mathematics. Epol/Apple – examines the proper use of elementary English in everyday conversations. Pahina – analyzes classical Filipino literature through dramatization of said stories. The ETV series initially aired on ABS-CBN during weekday mornings for much of the mid-90s. The debut of Knowledge Channel in 1999 soon prompted the network to move the ETV programs to the said channel, leading to a change in ABS-CBN’s early-morning landscape that remains to this day. The ETV programs also aired on Studio 23 (now ABS-CBN Sports+Action). Videotapes and DVDs of the said programs were also sold and donated to schools through ABS-CBN Foundation. Science Made Easy – a telecourse for elementary students that features lessons on basic science. Chemistry in Action – a telecourse for high school students that features lessons on chemistry. Physics in Everyday Life – a telecourse for college students that features lessons on physics. CONSTEL English – introduced a few years later, the series was a telecourse for high school students that features lesson on English language and grammar. PTV-4’s CONSTEL series was produced by the network in cooperation with what is now the Department of Education (DepEd) and the Foundation for the Upgrading of Standards in Education (FUSE). The series continues to air on a sporadic basis, even during the time PTV-4 was known as NBN under President Gloria Macapagal-Arroyo. The CONSTEL series was also picked up by Knowledge Channel and is currently airing on a recurring basis. While ‘Fun with Math’ was also introduced around this time, it was not considered part of the CONSTEL series. Nevertheless, the program served a similar purpose in promoting education through television. The resurgence of educational TV programs was a big moment in Philippine television in 1995. Today, these programs continue to benefit teachers in any way possible, and influence a young generation of students everywhere. CONSTEL still airs on occasion on PTV-4. I still remembered watching these educational TV shows. Today, I still watch these, mostly from ETV, currently on Knowledge Channel. These must surely help me in my school lessons. True that. Batibot and Sesame Street don’t seem educational enough, that’s why these programs stepped in. No. Actually, “Batibot” and “Sesame Street” are educational, but they’re targetting toddlers and pre-schoolers. That’s the same with “ATBP. (Awit, Titik, Bilang, Atbp. ),” which is also produced by ETV for ABS-CBN and is also currently being reaired on Knowledge Channel. NOTE: Knolwedge Channel does not air pre-school programs (except for ATBP) due to the target viewers, Grade 2 to College are the most of them according to ABS-CBN Educational TV Standards. Now we know kung bakit hindi nila kinuha ang Batibot at Sesame Street. true, pero 18 hours pa rin (6am-12mn daily) ang KCH dahil depende ito sa school schedule. Actually, Knowledge Channel aired “Sesame Street,” and that was in the early 2000s, when Knowledge Channel used to have a mixture of ABS-CBN and PTV educational programs, and some foreign educational programming, unlike today where Knowledge Channel focuses more on local educational productions from ABS-CBN and PTV (including “Eskwela ng Bayan” from NBN and some of Knowledge Channel’s own productions). Though, Knowledge Channel never aired “Batibot” in the channel’s 16 years of transmission. Remember “Pappyland” and “Mathica’s Mathshop,” among others? These three mentioned programs are some of my given examples of foreign educational programming, and they were also aired in Knowledge Channel in the early 2000s. ERRATUM: Not three, but two of my given examples. Well, they didn’t air Batibot, presumably out of respect to its mother network which is GMA then. Also, there were other foreign shows on KChannel that came from tapes sourced either through various universities overseas, or are from independent networks. Those tapes were donated to schools as educational material. And they sold well too at one time. Yung ABS-CBN lang ang tanging network from BIG 3 na naging successful in producing such educational programs like what you have mentioned. I remember before na sa Kapamilya network din nagsimula ang project na maglagay ng TV sets sa mga classrooms sa bansa, with matching VHS player pa noon. But nowadays, napalitan na ‘yan ng TV Plus digibox. As far as I know, meron pang Knowledge Channel sa TV Plus digibox. True that. Knowledge Channel is also available on TV+. I don’t know if the video material of ETV is still available though. I just wish ABS-CBN gets to produce new ‘versions’ of its educational shows (which can be aligned to the K-12 curriculum). If I’m not mistaken ch. 2 in the past weeks/months aired ‘re-runs’ of its educational programs mostly on Saturdays. It still has all of the educational and informative content though, but I bet they need to change their on-air look, feel and presentation that is well-suited for the new audience. Right now, we can only depend on Knowledge Channel. Viewing habits change after all. It’s possible, but only if ABS decides on that matter. As far as we know, the existing programs of old are still useful, even as our curriculum is now K-12. Much like the old books that many public schools used if you are talking about the ‘old’ educational tv programs though. Kuya Ralph, you forgot to mention one more program from the ABS-CBN Foundation: “Pamana,” which tackles about Civics and Culture, and HeKaSi for elementary students. I guess it aired in 2000. That was the last educational show produced and aired ABS for quite awhile. They only came back with Why Not? somewhere in the late 2000s. However, that was the time when educational shows on mainstream free TV were at a decline (thank you Knowledge Channel and animes, and not including Eskwela ng Bayan), and it marked the end of an era.